Now you can recreate the exciting experience of being at Freddy Fazbear's Pizza in your own home! 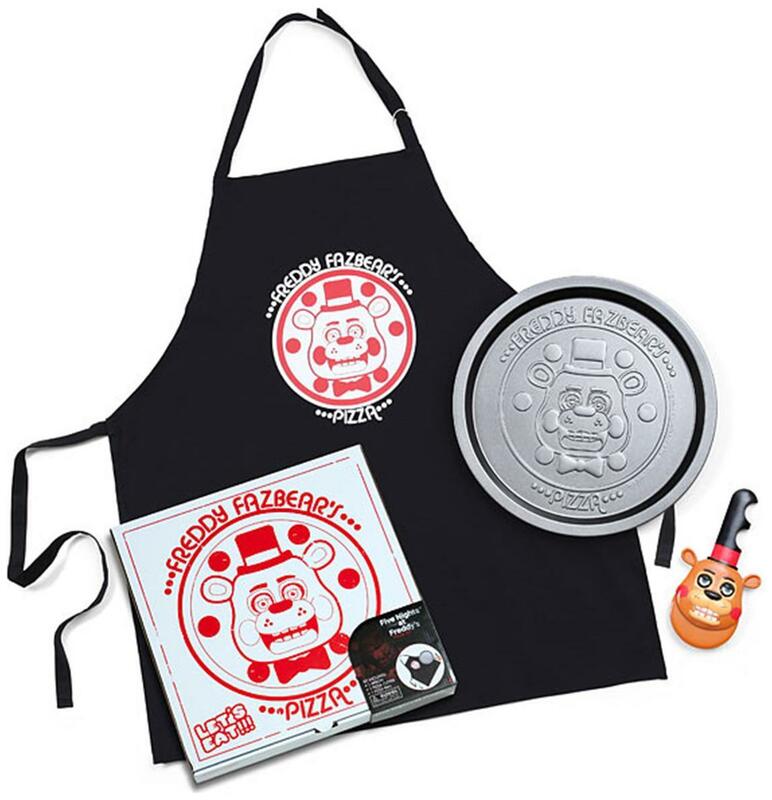 This Freddy Fazbear Pizza Kit comes with three custom items. The Freddy Fazbear's Pizza Pan makes every deep dish or thin crust more magical. The Freddy Fazbear's Pizza Apron will keep you neat and clean no matter what sort of shenanigans you get into. The pizza cutter is shaped like Freddy himself, and we hear it's all ready to slice. All three items come in a cute Freddy Fazbear's Pizza box. Now you can recreate the exciting experience of being at Freddy Fazbear's Pizza in your own home! 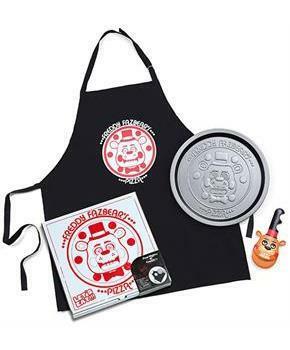 Kit includes Freddy Fazbear pizza cutter, pizza pan and apron. Steel pizza pan measures 11 1/2" interior diameter, 13 1/2" outer diameter. 100% cotton apron measures 28 1/2" long x 25" across, 84" total waist with ties. All three items come in a cute Freddy Fazbear's Pizza box.